The Toyota Yaris iA is our pick among the body styles thanks to its better transmissions and drivability. Most should be steeply discounted by now. Low cost doesn't need to be low rent. Some versions of the 2018 Toyota Yaris prove as much. The 2018 Yaris could be one of those options, depending on the model. Why model? Because the Yaris is one name for two cars—the hatchback Yaris, and the unrelated sedan called the Yaris iA. Both fall closer to the affordable end of Toyota’s lineup, but while the Yaris feels like it’s built to a price, the Yaris iA feels like a good value. 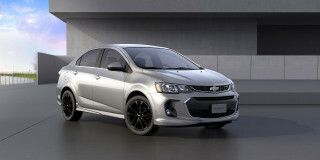 This year’s news is a restyled front bumper and rear end on hatchback models. It’s an incremental improvement for that helps the small hatchback gain a point for style, but we’re not convinced many people will know the difference. The Yaris iA stands pat for another year with no changes. The Yaris iA was designed and is built by Mazda and sold in other parts of the world as a Mazda 2. 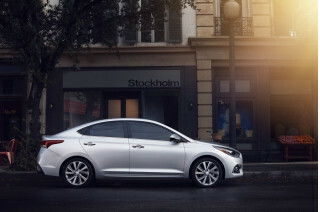 Hatchback versions generally offer more versatility than their sedan counterparts, but the iA sedan vaults its counterpart with a better drive for similar money. The Yaris hatchback is offered in L, LE, and SE trims, with three or five doors, and the Yaris iA is available in a single trim. Both cars are powered by 1.5-liter inline-4 engines married to a range of transmissions. Their spec sheets might look the same, but the hatch’s engine is made by Toyota, while the sedan’s is a wholly different engine made by Mazda. 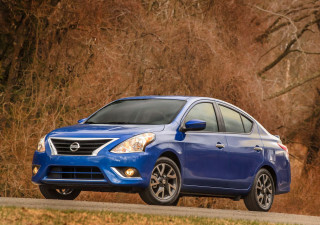 The hatchback offers a 5-speed manual and an ancient 4-speed automatic. The sedan is offered with a 6-speed manual or 6-speed automatic. Both offer touchscreens for infotainment (6.1 inches in the hatchback and 7.0 inches in the sedan) although neither support Apple CarPlay or Android Auto. We have a few problems with the Yaris, but its standard safety systems aren’t among those issues. The Yaris and Yaris iA are equipped with a suite of advanced safety features that includes lane departure warning and a low-speed automatic emergency braking system. 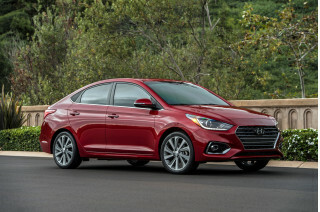 The sedan has earned top “Good” scores by the IIHS, but the hatchback is saddled with a worrying “Marginal” rating for small-overlap frontal impact safety. Credit where it’s due: At least, the 2018 Toyota Yaris is trying to look better. The 2018 Toyota Yaris gets new front and rear bumpers this year, but spotting the changes requires our glasses and thinkers. The Yaris iA sedan hasn’t changed, but that’s not necessarily a bad thing. Among small cars, the Yaris iA does little to distinguish itself. It doesn’t hide its Mazda roots well—the Toyota Yaris iA is sold as a Mazda 2 in many other parts of the world—and aside from its nose, it’d be hard to find any Toyota corporate influence in the sheet metal. It’s a tidy design with some interesting character lines running across the doors. The Yaris hatchback gets most of its new moves from the Toyota Prius, especially the point front bumper, which is strange inspiration. The rest of the car is fairly slab-sided, but five-door models won’t lose a point based on effort. It’s trying at least. Inside both, the cabins are relatively plain and uninteresting. We weren’t fans of the center-instrument oddities of older Yaris models, which was thankfully broomed for a more intuitive layout. The Yaris iA’s cockpit features rounded vents and an upright infotainment screen mounted atop the dash. It looks somewhat aftermarket, but it’s hard to begrudge the budget roots for a car that starts at less than $16,000. The Toyota Yaris iA is reasonably fun to drive. The hatchback? Not so much. All Yarises aren’t created equal. One is a throwback to the days of less-than-glorious economy cars, while the other is the epitome of cheap, but cheerful. Both Yaris and Yaris iA are powered by 1.5-liter inline-4 engines that make 106 horsepower, but confusingly aren’t related at all. As you might have figured out by now, the iA’s engine is a Mazda unit, while the hatchback’s was designed by Toyota. The Yaris hatchback pairs its engine with an overwhelmed 4-speed automatic or an underwhelming 5-speed manual. We recommend the manual for hatchback models based on the wide spacing of the automatic’s gears and because the engine runs out of ideas quickly. Approaching fun requires a large compromise of time and quiet to get there; the engine requires constant attention. Thanks to relatively soft springs, the Yaris isn’t thrown into a tizzy with bumps and imperfect roads. The Yaris SE adds a stiffer suspension that is an improvement, but not necessarily sportier. The Yaris iA is better with a 6-speed automatic or 6-speed manual. It’s still not that fast, but it compensates with precise and nicely weighted steering. Its suspension comes in a single flavor: mostly good. Our pick among the crowd? A Yaris iA with a 6-speed. It’s reasonable fun on a tight budget. Front-seat riders will be OK in the Yaris, but don’t ride in back unless you’ve lost a bet. Although there are two Yaris models on sale, our legs don’t see much of a difference. Both the Yaris hatchback and Yaris sedan will be perfectly fine for front-seat passengers, but that’s about all. The Yaris hatchback is roughly the same size as a Honda Fit between the wheels, but doesn’t use its space nearly as well. 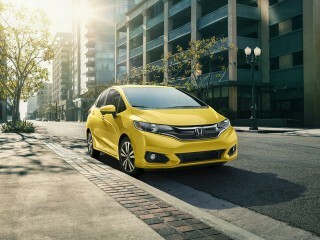 The Fit boasts 6 inches more leg room in back than the Yaris hatchback, and we’d contend that it’s a better carrier for several adults. In front, the Yaris is better suited for adults itself thanks to supportive lower cushions and wide frames that can hold large bodies. Yaris SE models offer sportier seats, but no Yaris is available with leather seats. We’ve found that tall drivers may have difficulty finding a comfortable seating position in the Yaris hatchback. The seat doesn’t adjust in many ways and the steering wheel only tilts, telescoping isn’t an option for longer arms. The split-folding rear seats can tumble forward for more cargo space, but don’t completely fold flat. With the seats up, the Yaris hatchback offers 15.6 cubic feet of cargo room (15.3 cubes with the three-door). That is respectable for its class. The Yaris iA has a different story to tell, but it’s not much better. It still suffers from the same cramped rear seat as the hatchback, although it’s a little more ergonomic. The Yaris iA has 13.5 cubic feet of cargo space in its trunk, made better by split folding rear seats, but it’s still typical for a subcompact. Neither version of the Yaris is especially quiet inside, but higher trims are afforded acoustic windshields that can dull the thrumming inline-4 that is underhood. The Yaris iA manages respectable safety scores, the hatchback is lagging behind. The Toyota Yaris iA has an incomplete, but mostly good, set of safety scores. The Yaris hatchback is withering while the automaker prepares its next generation of subcompacts. Federal regulators have given the Yaris iA a five-star overall rating, including five stars in every subtest except the calculated rollover score. The IIHS gave it top “Good” scores on every crash test, including the small-overlap front impact test. 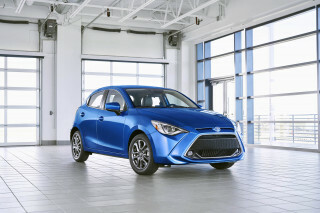 Neither agency was as kind to the Yaris hatchback, which earned a four-star overall score from the feds and a “Marginal” rating for its small overlap front crash protection in its most recent tests. 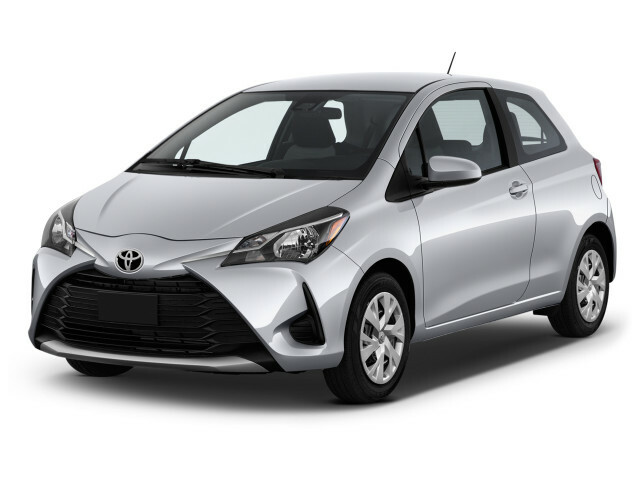 Like other Toyota vehicles, Yaris hatchbacks receive advanced safety features such as automatic emergency braking, forward collision warning, lane departure alert, and automatic high beams to supplement its mixed rating reviews. The iA's proactive safety equipment was developed by Mazda and not by Toyota, and it's worth pointing out that there are some notable functionality differences. The iA does not include the hatchback's lane departure alert and automatic high beams. Additionally, while its system can automatically apply the brakes to reduce the severity of a collision (or avoid one altogether), it works only at lower speeds. By contrast, the hatchback's Toyota-developed system works at all speeds. All Yaris models have an impressive infotainment screen and 25,000-mile free maintenance schedule. The 2018 Yaris iA is offered in one, decently outfitted trim. The sedan has 16-inch wheels, a rearview camera, keyless ignition, Bluetooth connectivity, and a 7.0-inch infotainment screen. 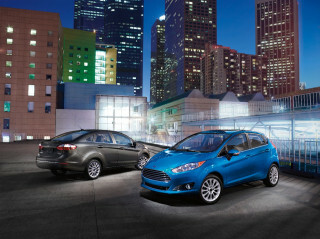 Hatchback models offer more flexibility in options, if nothing else. The base L model features 15-inch wheels and a 6.1-inch touchscreen for infotainment. Yaris LE models add cruise control and keyless entry to that list. The hatchback tops out at SE trim levels with 16-inch wheels, a rear spoiler, four-wheel disc brakes, and a better instrument cluster. All models are equipped with a rearview camera and advanced safety features, which we cover separately. Most models of the Toyota Yaris will manage 33 mpg combined or better. The 2018 Toyota Yaris iA is relatively fuel-efficient, for a non-hybrid, budget car. 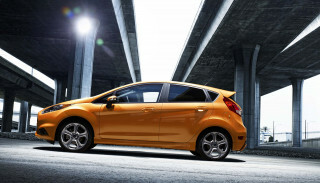 Hatchback models are rated at 30/35/32 mpg with a 4-speed automatic, and 30/36/33 mpg for the 5-speed manual. Sticking with the manual in iA sedans nets a 30/39/34 mpg mark. 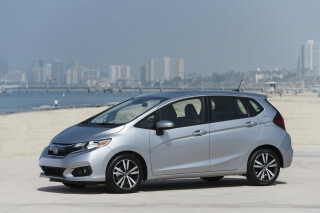 The Honda Fit manages slightly better mileage at 33/40/36 mpg, according to the EPA. In our testing, a Yaris SE with the 4-speed automatic, driven rather aggressively over a 45-mile route on two-lane rural roads—including full-throttle passing and climbs to almost 4,000 feet of elevation and back down—returned about 32 mpg according to the trip computer (matching its combined rating). A 5-speed manual model over a shorter and more level route returned just over 34 mpg (beating its combined EPA number by one mpg).